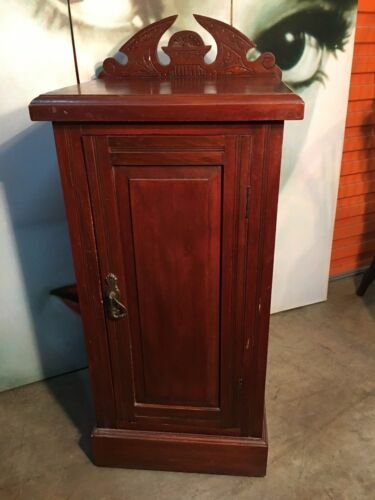 Restored Edwardian Marble Top Oak Pot Cupboard with Top Drawer. Circa 1900. Edwardian Cedar Wardrobe Beautiful Piece with original fittings and handles. Sterling Silver Pin Tray - Goldsmiths & Silversmiths - London - 1925. Up-cycled Antique Solid Oak Cabinet. Circa 1910. Structurally excellent. 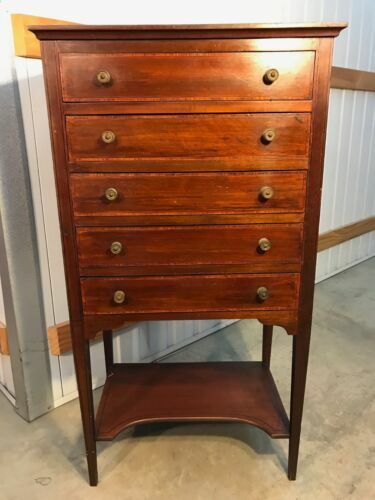 Antique Blackwood Four Panel Lead Light Bookcase. Circa 1920.